Human consciousness which seeks the transcendent, or attempts to make itself transcendental, eventually must ask a critical question: which forms of activity are really valuable for human consciousness, and which are, or constitute, mere escapism? 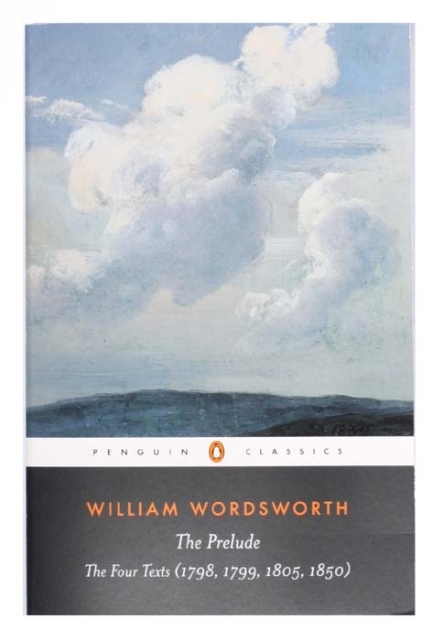 William Wordsworth’s The Prelude, to me, can only be a minor masterpiece, for the simple reason that Wordsworth’s chiasmus with the natural, natural objects, natural forms, which constitutes the narrative-thematic backbone of the book, is a kind of crack cocaine for him, getting him high without leading his consciousness to a more truth consonant place. William Wordsworth was born with Mercury in Pisces, and it works. Pisces and truth consonance is variable— evolved Pisces energy can arrive rather easily at the grandest, most cosmic truths, which coalesce for it out of thin air; while pedestrian Pisces energy slips and slides around telling the truth, out of feelings of humiliation and embarrassment, and also looking (as Wordsworth in The Prelude is constantly looking) to escape. Wordsworth goes so far out of his textual way to remain in one of his underwater moods, within the charmed circle of the natural and against the charmed circle of the human, that the whole book passes without the Prelude Protagonist having had more than a brief, cursory interaction with another individual human being. Wordsworth’s asides to Coleridge are also anodyne, and Wordsworth does not inform us of what Coleridge might have to say back to him. The major quality of Keats’ Odal Cycle asserts itself over The Prelude because the primeval genius of Music, in its purest form, and created by an individual human being, allows Keats’ to transcend without seeming unduly like an escapist. Underwater moods can become stagnant— this is one of the pitfalls of Neptune in Pisces. When Wordsworth’s underwater moods stagnate in The Prelude, the reader can feel him gasping for air, and willing to falsely reassure himself. The entire endeavor of English Romanticism, by the way, not only insists on the transcendental impulse issuing from individuals, it does so in such a way which, rightly or wrongly, projects individuality onto the reader, as though what they are seeing and hearing is something they, or anyone, can relate to. This is false: most readers of the English Romantics read for the wrong reasons, and without the individual, individualized purity of intention which can lend gracefulness and insight to a reading. Reading the Romantics while Neptune is transiting Pisces is a way of letting language place us underwater, whether the murkiness of Wordsworth or the limpid clarity of Keats; and, if we are willing to take a rather icy plunge, to connect what we are reading, in all its transcendent bliss, to what we know, in 2015, of the charmed circle of the human, and what the limitations of the human race really are. The distinction, in the archetype Pisces, between high and low art (kinds of water) is also huge: high and low art can perform roughly the same tricks for human consciousness, only high art can take brain matter, not just heart and emotion matter, and make it fluid. That’s the problem with low art/pop culture crap: it works around emotions, and ambiance. It makes you feel, but, for higher IQs, does not provide fodder for heightened thought. Heightened thought, transcendent cognition, what you will, is the most powerful ocean in human consciousness, and the only one capable of pushing the human race forward, individual by individual; and the lethargy, recumbence, and stagnation which tend to manifest during Piscean epochs can be balanced by subtle shifts of perception towards a truer, more correctly shimmering level of multiple truths, subtly shifting within themselves, underwater and on dry land.